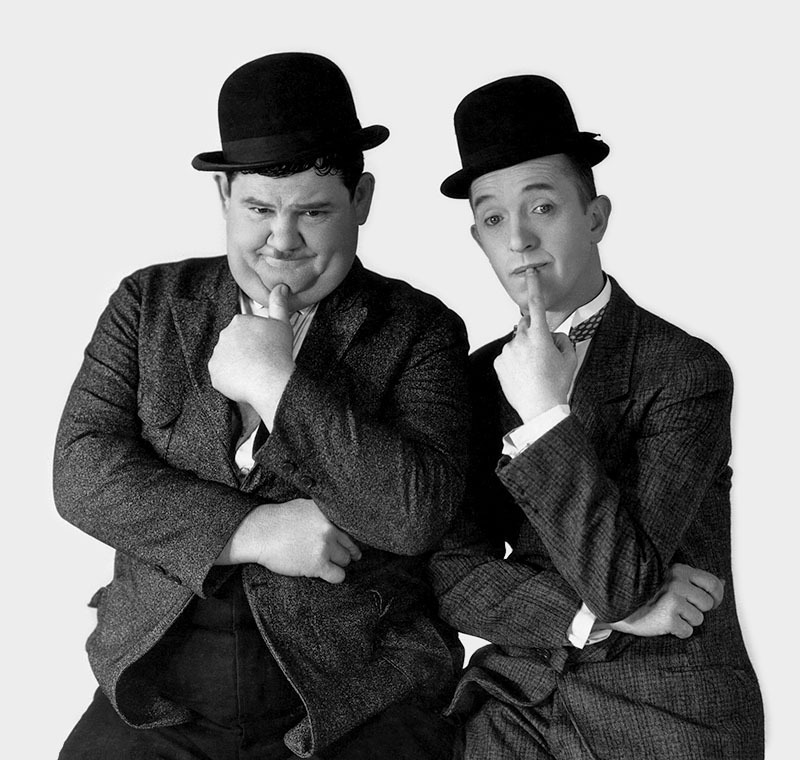 It is most fitting that, when anything as odd as two parties in one day for four reasons are staged, Stan Laurel and Oliver Hardy should be two of the central fires. After the barbecue the guests drove to the Hardy home in the valley to inaugurate the new Spanish-type theater behind the gardens and citrus orchards and to honor the Woods who left the following day for a personal appearance tour. Since the Hardy theater is fully equipped with screen, sound equipment, projection machines, stage and footlights, an impromptu program was in order. First, a hilarious old Laurel and Hardy picture was run off, then the old time vaudevillians in the audience staged a 30-act show, made up of impromptu acts and some that have appeared on a number of stages. Charlie Irwin was master of ceremonies, ably assisted by Eddie Kane and Wally Ford. Britt Wood did his banjo and singing act. Ames and Arno showed off their best acrobatic stunts, Lasses White stirred the audience with the Southern preacher’s eulogy to a colored boy’s death and Alphonse Berg and his trained pony Midge performed. 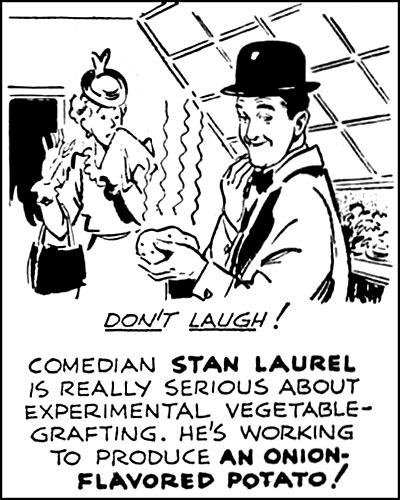 Stan Laurel’s hobby is plant-grafting. After weeks of patient toil he’s produced, a vegetable that looks like a tomato, is the color of a potato and tastes something terrible!